Peter Ellis 'A Head in a Hive of Bees' exhibition 2013. Photo: Mark Ashkanasy. Discover more about Peter Ellis’ art practice and enduring fascination with the surreal monsters in his drawings. 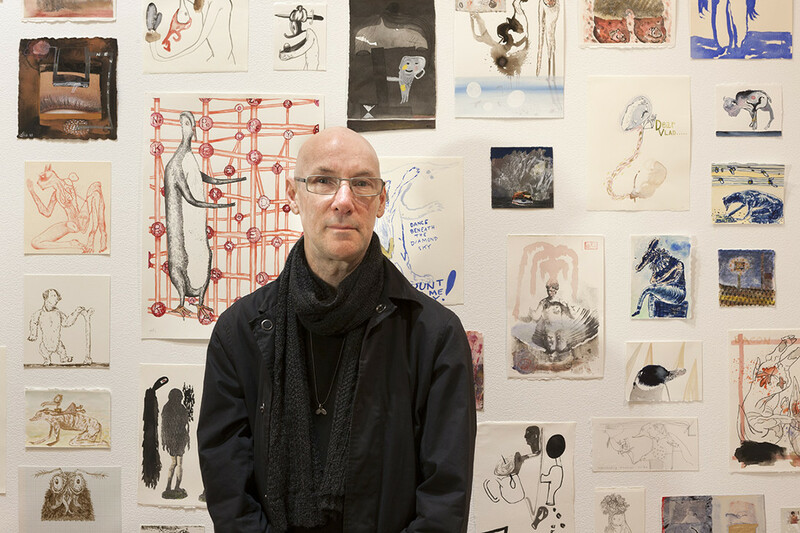 Peter Ellis, artist and RMIT Associate Professor, has been deeply interested in surrealism since the 1970’s. His drawings of hybrid creatures explore the psychological space between human and animal, and are bizarre and engaging, while being beautifully executed. 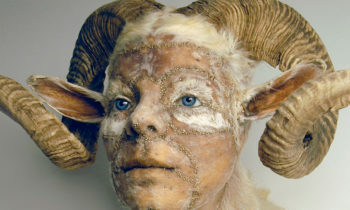 His work features in the new RMIT Gallery exhibition My Monster: The human animal hybrid (29th June – 18th August 2018) which explores the artistic portrayal of the hybrid monster from mythology through to biotechnology. 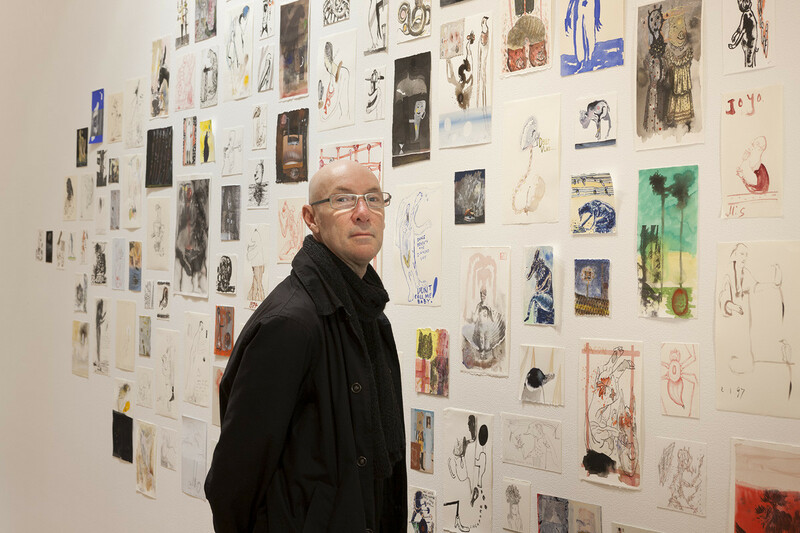 Ellis’ exhibited in the recent All the better to see you with: Fairy tales transformed (Ian Potter Museum 2018) and the 2015 National Gallery of Victoria exhibition Lurid Beauty, a celebration of Australian surrealism, for which he also painted a three-metre-tall mural. 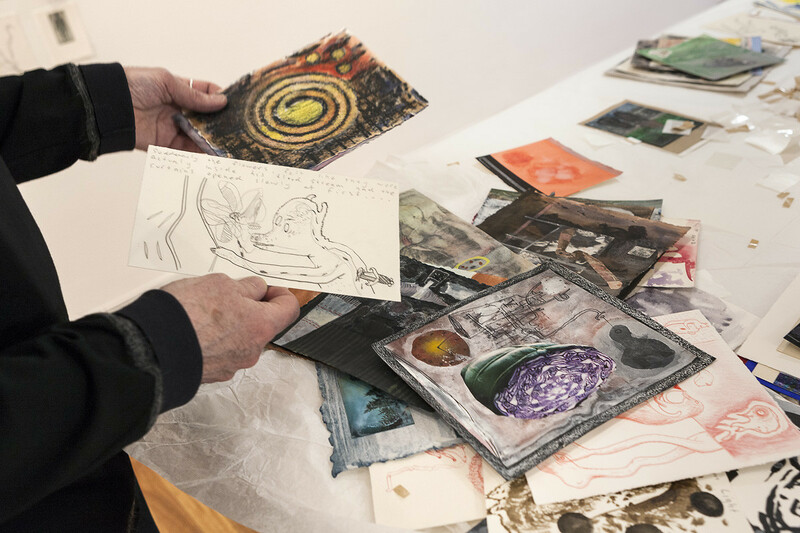 His 2013 solo exhibition at RMIT Gallery, A Head in a Hive of Bees, showcased his paintings and drawings of alien-like creatures – usually amalgams of different animals – that roam throughout his art. “The surrealists tell us that the only bounds to our world are self-imposed,” he told Luke Henriques-Gomes (The Weekly Review 2015). 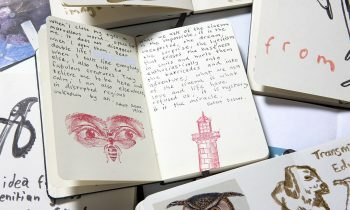 Images: Installation views, Peter Ellis, A Head in a Hive of Bees, RMIT Gallery 2013. Photos by Mark Ashkanasy.